Vera P Card is a family-run business in St George offering figurines, jewellery, clocks, china, and crystal from prestigious manufacturers in Europe. All are sold at duty free prices, well below those in the US. Their product range includes hand-painted porcelain figurines of MI Hummel of Bavaria and Lladro of Spain. Items unique to Bermuda include a Lladro figurine of a newly married couple standing under a moongate and a MI Hummel figurine of a girl reading a newspaper featuring St Peter’s Church. 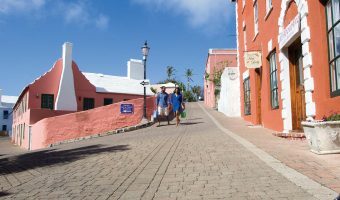 The store is situated on Water Street in St George, just a short walk from King’s Square and the St George’s Ferry Stop. Opening hours are 11 am until 4 pm, Monday to Saturday. The store closes in winter season from January to March. The Vera P Card shop on Front Street in Hamilton closed in 2008. During the boom years of tourism in the Bermuda, the business had six stores on the island. Map showing location of Vera P Card.